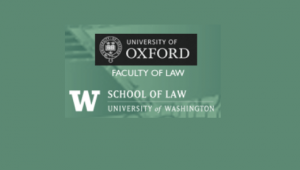 The Cape Town Convention Academic Project (a joint undertaking of the University of Oxford Faculty of Law and the University of Washington School of Law) presents its Fifth Annual Conference Sept. 13-14, 2016, in Oxford. The Cape Town Convention on International Interests in Mobile Equipment (the CTC) is one of the world’s most important commercial law treaties, which now has 70 Contracting States, including the UK. The Convention and its protocols provides for an international interest, registered in a central international registry, in aircraft, railway rolling stock and space assets. The CTC is not only worthy of study in its own right, but raises many issues of more general interest, such as the use of private law conventions in transnational law, and the process by which such conventions are developed and agreed.